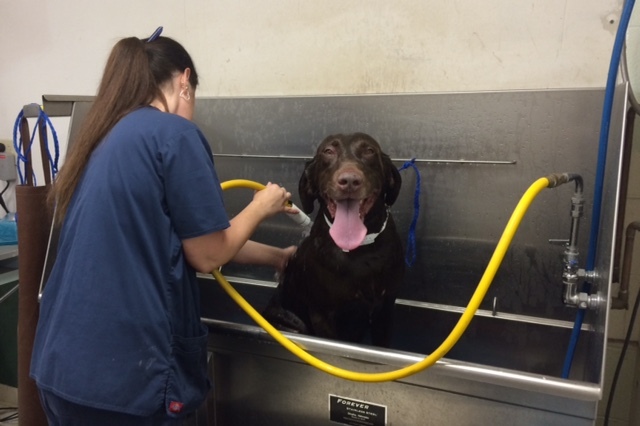 Our animal care team schedules baths for dogs and cats Monday through Friday! We ask that your pet admit during the morning hours for the bath then go home at a designated time later in the day. Most bath appointments include a complimentary nail trim and ear rinse, depending on the comfort level and disposition of the pet. 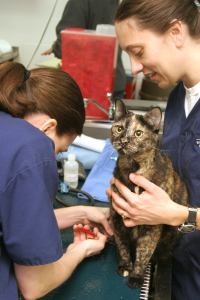 Our animal care team is very well versed in nail trims! We typically start with traditional nail trimmers then file with a dremel to smooth the edges (dogs only). We adjust protocol to fit the toleration level of the patient. Pedicures can be scheduled Monday through Saturday during normal office hours.